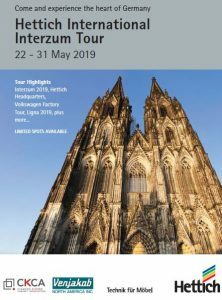 CKCA has partnered with Hettich and Venjakob to offer 8 days in Europe attending Interzum and LIGNA shows plus amazing plant tours! Travel with CDN kitchen manufacturers and network. See the possibilities – get incredible ideas. See worldwide Manufacturing at it’s best. Immerse yourself in culture, experience Germany.